Having time, freedom, and resources are vital for learning. 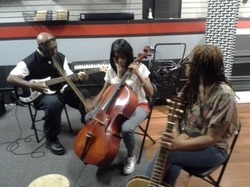 At Music Unlimited, with our unique Open Gym Jam group sessions, you get all three! And, they are fun! Like a fitness gym for music, you can work out on piano, strengthen your fingers on guitar, or improve your rhythm on drums. Focus on your own skills, play music theory games, jam with others, and ask experienced musicians questions as they arise. Groups typically have from 4 to 10 participants. From beginning guitar, piano, or strings to fun music theory courses, these group classes are flexible and enjoyable for all ages! See our calendar for current offerings.